Women can really be amazing especially when you want to talk to them. In one moment, your girlfriend is super nice when you talk to her. After some time, she completely changes and becomes very naughty and when you are almost giving up, she goes back to her niceness in a matter of 10 minutes or so. Don't feel confused because your girl is just going through some mood swings. She may tell you how happy she is with you in one occasion, but in another, she doesn’t want to see you around. In this case, you might think that you are dating three people or more. So, how do you handle such a situation? Don’t keep asking why she is reacting that way. Leave her alone after you have asked once. If she wants to say it, she will. No amount of pestering will change her. Actually, it would be important for you to give her time to bounce back because your intervention will only make things worse. Besides, she really will not take your interrogations lightly even when this is due to her periods. As she talks to you, try to find out what is upsetting her. It could be something specific, like her work, an annoying coworker, her bossy manager, the long wait at supermarket, a missed flaw on her new dress, etc. Maybe it involves you. Therefore, it is important to examine yourself and make sure that you are not the cause. Her mood swings could be triggered by one of your silly actions. Therefore, be patient with her and don’t be another problem to her. Whether she is right or not, don’t present yourself as the good person here and don’t consider yourself being right all the time. She will even get mad if you keep showing her wrongs. This is the time to overlook some of the wrongs she has committed. Avoid unnecessary arguments and keep calm. This will help bring the nice version of her back. Allow your girlfriend to vent. It will help her to heal. Mood swings in women are not easy to handle. In most occasions, they could be as a result of filled up emotions seeking a chance to come out. A moody rant will do for women who want to free up themselves. But don’t dwell much on these rants and if possible, just ignore them. Be of help by pampering your girlfriend. Mood swings will make her irritable and vulnerable. So the best things you can do are to stay calm, give her a body massage, offer her some tasty foods, let her have a warm bath, etc. You are a couple and you know how to make her comfortable, so go extra miles to make her the luckiest princess. You can manage your girlfriend’s situation by making her laugh. You can deflate her pain and stress by being funny. Recall which things can make her happy and try them out to give her a light mood. You can tell some jokes, read her some funny news or stories, and watch a comedy movie with her. Even if the mood swing is related to PMS, this will help distract her from those bodily discomforts. To help your girl feel better, you should make sure she stays busy. Choose an activity that diverts her from physical and psychological factors that make her angry or anxious. You can take a walk with her, go to the gym together, cook or bake something, or just do some video game from the comfort of the sitting room. Definitely, she is in her worst of conditions. You can make her feel good by complimenting her from time to time to make her feel the love you have for her. For example, tell her how much you like her smile and her dimple, tell her how pretty she is in that new dress and tell her how she makes your life colorful and happy. Do keep it cool and natural lest it becomes another source of conflict. Be patient with your girlfriend. 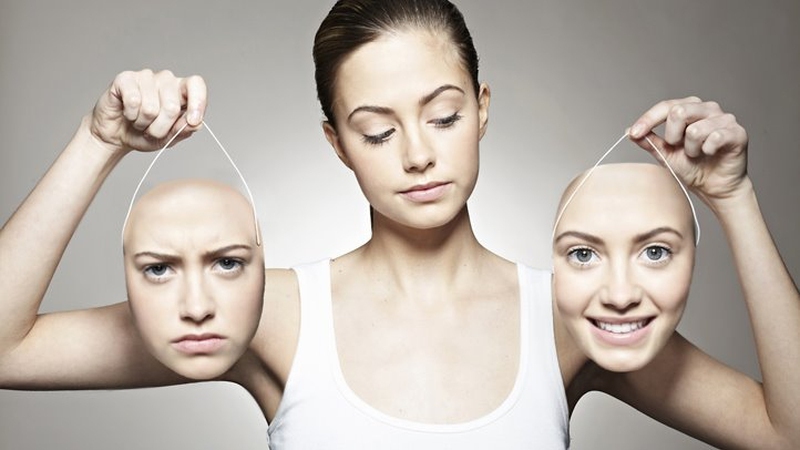 Mood swings will often make her say certain unpleasant things but she really doesn’t mean that. She is only expressing her frustration. When she gets mad at you for a prolonged time, take it easy, try to understand her and don’t react negatively. It is not about you and the sooner you realize that, the better for the two of you. Go out with your girlfriend instead of confining her to the house. Change the environment for her. Her mood swings can make her a nuisance but if you offer to drive her out, hang out with friends, go to that art exhibition that she always wants to see or have a delicious dinner in a romantic restaurant, it will help her calm down. Let her sit as you do the household chores such as cleaning and cooking. During that moody period, your girlfriend may lose interest in doing these household activities, so don’t force her to do them. You can offer a helping hand in this. It is only for a while until she calms down. You don’t have to be an expert. Just do them. Before going for this option, observe your girlfriend. Mood swings can make her hard to predict and you can't say for sure how she will react to your hug. But it is something worth trying. If you find it fine, hold her in your arms for some time and let your actions speak for you -- you are mindful of her and ready to help her out. This helps greatly in assisting her to sail through this situation.